Aquaculture includes the breeding, rearing and harvesting of plants and animals in ponds, rivers, lakes and the ocean for food, sport, bait, ornamental fish, sea vegetables, fish eggs and algae. The industry is growing globally thanks to increasing demand from consumers looking for healthier food options, experts say. 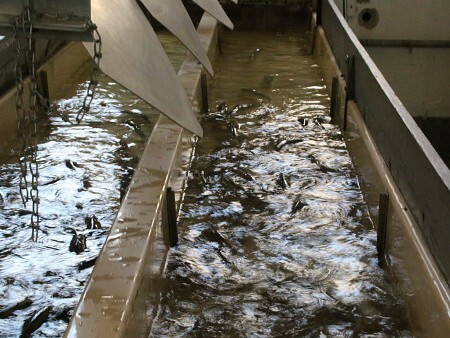 In Ohio, there are about 200 fish farmers registered statewide, according to a 2010 survey by Ohio State. And many of them say they’d like to gain additional training in innovative production techniques, according to the survey. The workshop, which will be held at the OSU South Centers in the large auditorium, 1864 Shyville Road in Piketon, will feature aquaculture experts from OSU Extension, the Ohio Agricultural Research and Development Center, the South Centers and industry. OSU Extension and OARDC are the outreach and research arms, respectively, of the College of Food, Agricultural, and Environmental Sciences at The Ohio State University. The South Centers also are part of the college. Understanding your water quality analysis report from the South Centers. How does poor water quality affect your wallet? Registration is $45 per person and includes all materials, tours of the aquaculture research facility and aquaponic greenhouse, and lunch. To register, contact Sarah Strausbaugh at 740-289-2071, ext.112, or strausbaugh.54@osu.edu. The deadline to register is noon, July 29.